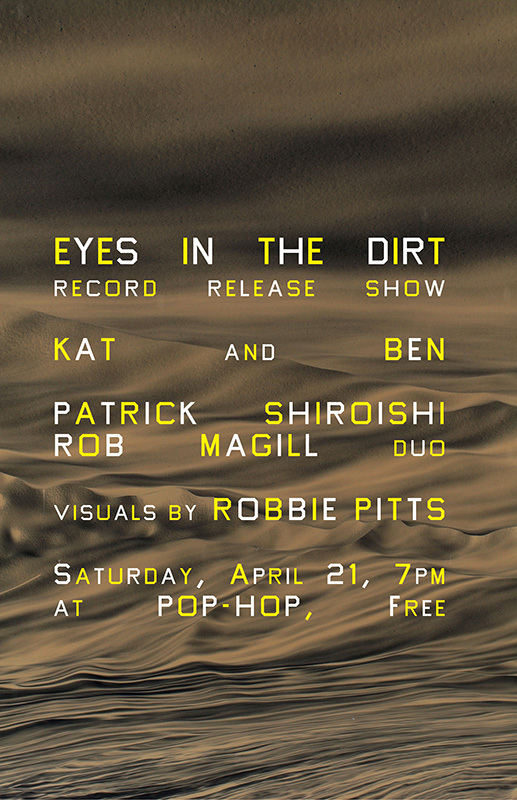 Patrick Shiroishi & Rob Magill are happy to announce the release of their woodwind duo record: Eyes in the Dirt. A couple years in the making, the record will be released via Weird Cry Records on CD & cassette. They will be supported by Kat & Ben, who recently just released their own duo record: Cycles on Cycles. Live visuals by Robbie Pitts during the sets!